 The University of Klagenfurt is pleased to welcome you to our website. Data protection and data security when using our website are very important to us. We would therefore like to provide you with information about which of your personal data we collect when you visit our website and the purposes for which this data is used. We use tracking and analysis tools to ensure that our website is optimised on an ongoing basis and that its design meets requirements. Tracking measures also enable us to record statistics regarding the use of our website by visitors and to develop our website further on the basis of these findings. Based on these interests, the use of the tracking and analysis tools described below is justified in accordance with Art. 6 (1) (1) (f) GDPR. The following descriptions of tracking and analysis tools also provide information on the relevant processing purposes and the data processed. Applicants can also submit applications to the University of Klagenfurt by email. However, please note that emails are not generally sent in encrypted form and the applicants themselves are responsible for ensuring that they are encrypted. Therefore, we cannot accept any responsibility for the transmission path of the application from the sender to receipt on our server. 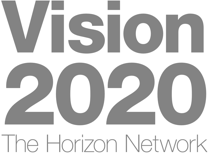 If you have expressed an interest in receiving information about the programmes we offer, we will send it to you via the specified contact channels or will contact you. In order to do this, we legally require your consent. We may ask you for confirmation in the case of consent declared online. You may revoke your previously granted consent at any time and may also object to the processing of your data. Otherwise, your details will be deleted within a period of one and a half years after the last instance of contact, unless we have a legitimate reason to keep them for longer (for example, if we are requested to provide proof of consent given previously). Furthermore, we ask that you pay attention to the following notes on the specific services used and point out that you may also contact us via conventional means, e.g. e-mail or telephone. We use the messaging service WhatsApp. WhatsApp (WhatsApp Inc. WhatsApp Legal 1601 Willow Road Menlo Park, California 94025, USA) is a US-based service, which means that the data you send via WhatsApp will first be transferred to WhatsApp in the United States before it is forwarded to us. However, WhatsApp ensures that the communication content (i.e. the content of your message and attached images) are encrypted end-to-end. This means that the content of the messages is not visible, not even to WhatsApp itself. However, users must be using a recent version of WhatsApp to ensure message content encryption is active. However, please be aware that, while WhatsApp cannot see the content, it is able to see which users communicate with us and when. Furthermore, information gathered by WhatsApp may also be used within the Facebook group of companies for advertising purposes, provided that you have not successfully objected to this. WhatsApp is certified under the Privacy Shield Framework and therefore guarantees compliance with European and Swiss data protection law (https://www.privacyshield.gov/participant?id=a2zt0000000TSnwAAG&status=Active). We use WhatsApp on the basis of the consent of the contacted users, in line with Article 6, Paragraph 1, Point a, and Article 7 of GDPR. Otherwise, if we do not ask for consent, we use WhatsApp on the basis of our legitimate interests in fast and efficient communication, in line with Article 6, Paragraph 1, Point f of GDPR. You can object to communication with us via WhatsApp at any time. In the case of subscription to messages (also known as ‘broadcasts’) via WhatsApp, you may delete our corresponding telephone number from your contacts list and request that we remove you from our directory. In the case of ongoing individual inquiries or communications, you may also ask us not to continue communication via WhatsApp. In the case of communication via WhatsApp, we will delete the WhatsApp messages as soon as we can assume that we have answered any information requests from users; if we do not expect to need to refer to a previous conversation and if the deletion does not conflict with any statutory storage requirements. Finally, we would like to point out that, for reasons of your own security, we reserve the right not to respond to inquiries via WhatsApp. This is the case if, for example, contract contents require particular confidentiality or if a response via the messenger app does not meet formal requirements. In such cases we will refer you to more adequate communication channels. We use the so-called ‘Facebook pixel’ function of the social network Facebook, which is operated by Facebook Ireland Ltd., 4 Grand Canal Square, Grand Canal Harbour, Dublin 2, Ireland (Facebook). Facebook is certified under the Privacy Shield Framework and therefore guarantees compliance with European and Swiss data protection law (https://www.privacyshield.gov/participant?id=a2zt0000000GnywAAC&status=Active). Through the Facebook pixel feature, Facebook is able to define the visitors to our online content as a target group for displaying advertisements (so-called ‘Facebook ads’). Accordingly, we use Facebook pixel to ensure that our Facebook ads are only displayed to those Facebook users who have shown an interest in our online content or who have certain characteristics (e.g. interests in certain topics or products, which are determined by which websites they have visited) which we have shared with Facebook. These are known as ‘Custom Audiences’. By using Facebook pixel, we also want to ensure that our Facebook ads are in line with users’ potential interests and are not annoying. Facebook pixel helps us to gain a better understanding of the effectiveness of our Facebook ads for statistical and market research purposes, in that we are able to see whether users have been redirected to our website after clicking on a Facebook ad (known as Facebook conversion). The processing of data by Facebook is carried out in line with Facebook’s data usage policy. You can find the relevant notes on the display of Facebook ads in Facebook’s data usage policy: https://www.facebook.com/policy. Specific information and details about the Facebook pixel feature and how it works can be found in the Help section of Facebook: https://www.facebook.com/business/help/651294705016616. We use Facebook pixel on the basis of our legitimate interests (i.e. interest in the analysis, optimisation and cost-effective operation of our range of services within the meaning of Article 6, Paragraph 1, Point f of GDPR). In the event that we ask for your consent, the legal basis for this is Article 6, Paragraph 1, Point a and Article 7 of GDPR. You may object to the gathering and use of your data via Facebook pixel for the display of Facebook ads. To define what type of advertisements you see within Facebook, you can go to the settings page on Facebook and follow the instructions for the usage-based advertising settings: https://www.facebook.com/settings?tab=ads. The settings are platform independent, meaning that they are configured for all devices, including desktop computers and mobile devices.